Joint recall with Health Canada, the United States Consumer Product Safety Commission (US CPSC) and White-Rodgers. 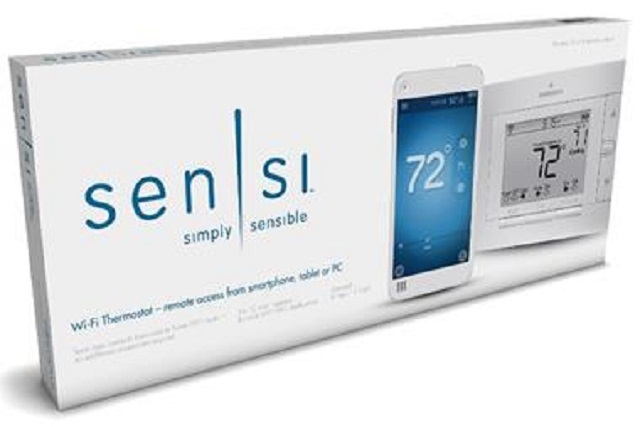 This recall involves first-generation Emerson branded Sensi Wi-Fi Thermostats that permit remote access from one's smartphone, tablet and PC via a Wi-Fi home network. The affected units have Emerson printed on the front. The thermostats are white with an LCD screen and there are three buttons below the thermostat. Up and down arrow and menu buttons are located to the right of the screen. A product label containing the model number and date code information is located on the back of the thermostat. 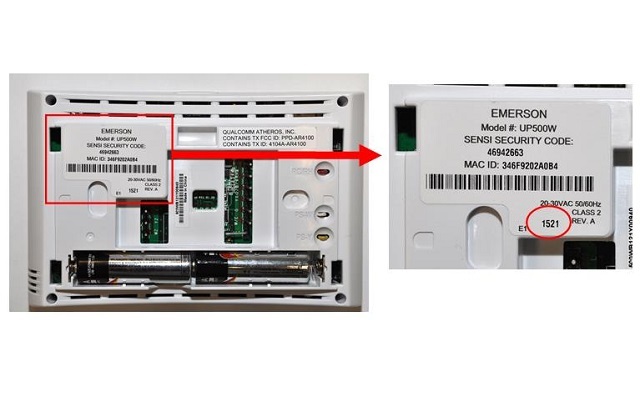 Recalled thermostats have model numbers 1F86U-42WF or UP500W, and a date code from 1416 to 1536 indicated on the back. The date code represents the manufacture date from the 16th week of 2014 through the 36th week of 2015. UPC codes on product packaging are: 786710549335 and 786710549762. The thermostat can be damaged by household line voltage (120 volts or 240 volts) during service or replacement of a heating or cooling system, posing a fire hazard. As of November 30th, 2018, the company has received no reports of property or product damage in Canada, and no reports of injuries. In the United States, the company has received 8 reports of burn damage to the thermostat, involving minor property damage. No injuries have been reported. Approximately 15,546 units of the affected products were sold in Canada, and approximately 135,000 units were sold in the United States. The recalled product was sold by distributors and retailers in Canada between April 2014 and December 2016. 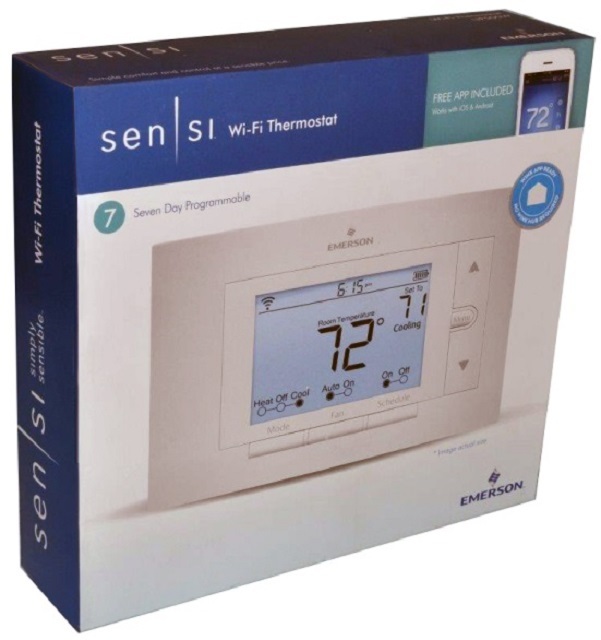 Consumers should immediately check their Sensi thermostat to determine if the unit is included in the recall and contact the firm to schedule a free repair or replacement. For more information, consumers can contact White-Rodgers customer service by telephone toll-free at 1-888-847-8742 from 8:00 a.m. to 5:00 p.m. CST, Monday through Friday, or online.